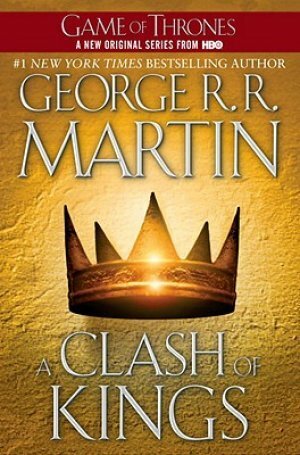 I eagerly started this sequel to A Game of Thrones….and wasn’t disappointed. This novel enriches the story, while complicating it still further. Tyrion and Dany remained my favorite characters. Other viewpoint characters I enjoyed: Theon Greyjoy, John Snow, and Ser Davos. I enjoyed Arya’s storyline, but I find her rather annoying as a character. I know a lot of people love her, but I just don’t. I loved seeing Tyrion in his new role as Hand of the King and following Dany and John, as they explore the East and the North, respectively. Jaqen H’ghar was another great character introduced in this book. As always, I enjoyed the scheming of the Lannisters. The tv series also makes a good run of this…the Battle of the Blackwater was amazing. I don’t want to give away too much, but if you’ve read the first book in the series, you should definitely continue on with this one! Since I’m not talking much about the events of this book, leave me a comment down below about how you liked it. If you don’t want spoilers, I would avoid the comments!